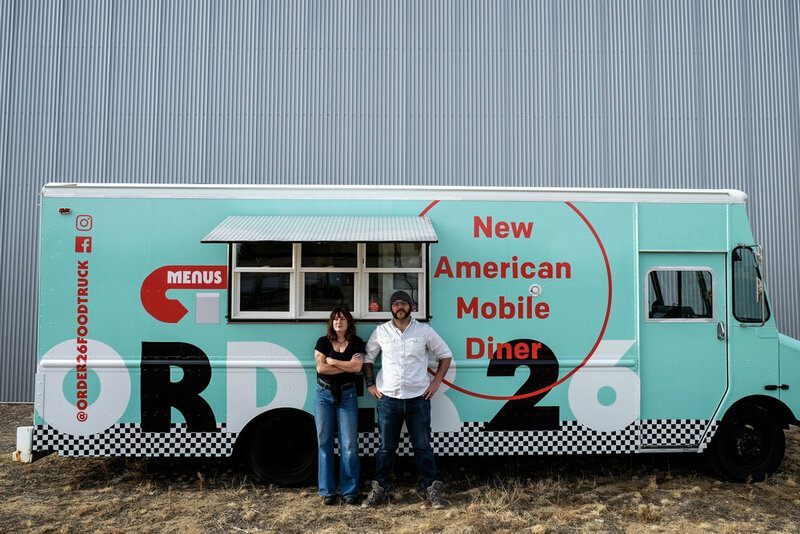 Order 26 Food Truck: A New American Mobile Diner — STATION 26 BREWING CO.
Order 26 Food Truck is a new project built from cumulative years of culinary experience, passion for good food, long-standing friendships, and professional ambition. The concept for the truck came about as a nod to the short-order cook. Classic American food, bordering on diner fare. 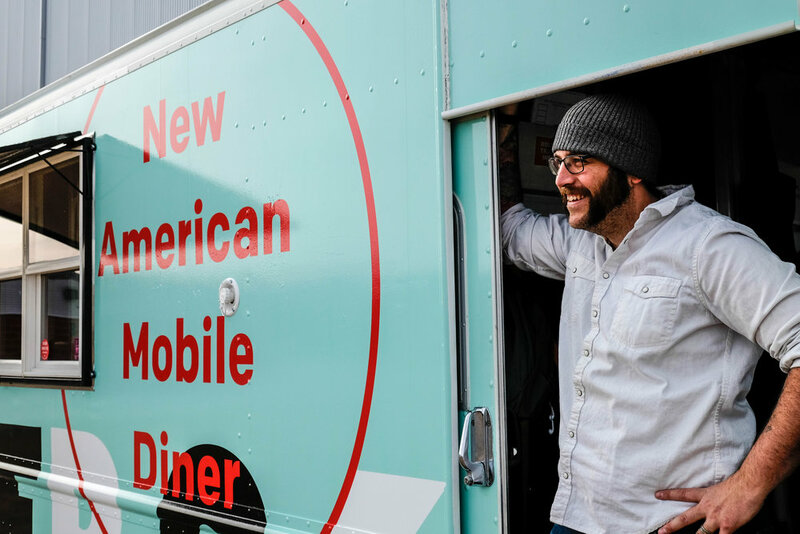 “New American Mobile Diner” is an effective deployment of buzzy words that conveys well what we’re trying to do on the truck - approachable meals, dialed up just a bit, with careful attention to the nuances of “building flavor” (a term of advice we both learned through our careers in the culinary world). Our truck-made pickles, used as a side item and on our staple Truck-Fil-A Chicken Sandwich, spend 48 hours in a vacuum sealed jar with garlic and spices and stay cold throughout the entire process, forming a delicate and crisp flavor. We braise chicken thighs in stock and aromatics for four hours before they are shredded, mixed with a blend of cheese, wrapped and fried to create a crunchy dish known as our Buffalo Chicken Spring Rolls. We work hard to ensure that every ingredient is unique, that every ingredient has been given careful thought. That’s what sets these dishes apart. 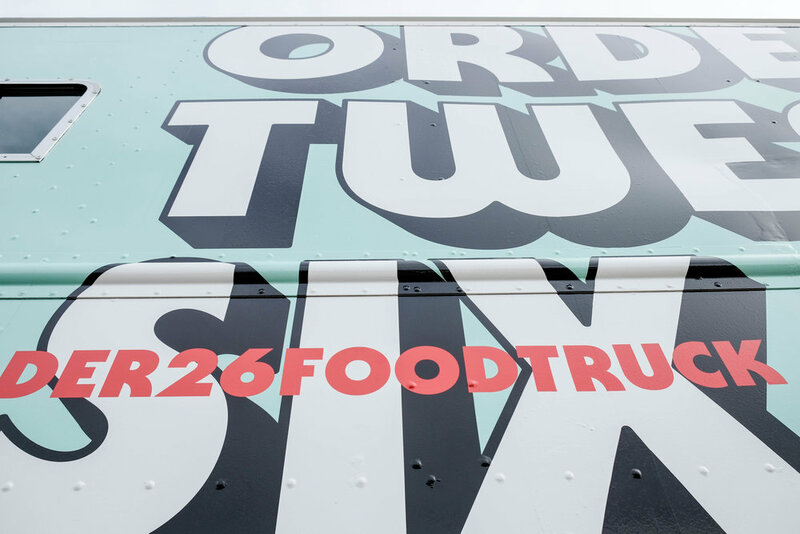 Order 26 is an independent venture that also owes its origin and future to the connection with Station 26. Our beer cheese is made with the brewery’s Colorado Cream Ale and Juicy Banger IPA, and we are striving to build dishes that mesh with the brewery’s products but also stand strongly on their own. Soon we will launch beer pairings with our meals, in an effort to create a well-rounded experience for each guest. We believe this is a unique scenario for a brewery and food truck project in this town, and we are excited to see where it takes us. 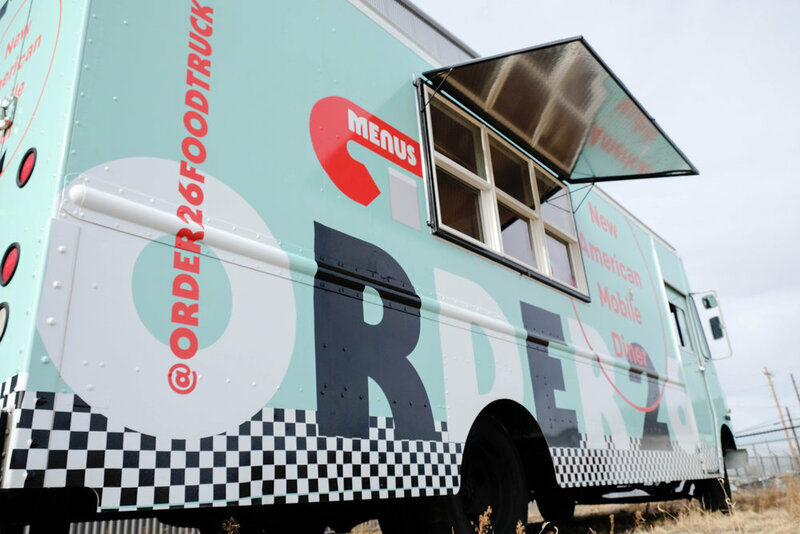 This special setup, of a semi-permanently parked food truck both independent from and affiliated with Station 26, will allow us a platform to elevate the guest experience in countless ways. Ideas that we may not have been able to coordinate with outside trucks. Pop-ups, where we replace our entire menu with a themed menu for the day, boils, brunches, multi-course tasting menus, anything you can think of. Since many trucks open with a specific theme or menu their equipment doesn't have the flexibility to pull off a diverse menu. Our truck is built to take us as far as we can push it. Order 26 has endless possibilities in front of it, but it’s going to be made by the team we have working it. We first met years ago through mutual friends while we were attending separate colleges in Florida. We pretty much immediately hit it off (most likely over beers) through a shared interest in culinary pursuits, and our paths converged professionally on a food truck project called Five Gastronomy in Orlando, started by Chef Bruno Fonseca. Our paths diverged, both of us thinking the food truck sections of our careers finished, and here we are - together again on another food truck project five years later, and one that’s our own. Our team of highly experienced, food-loving misfits are motivated to provide the optimal experience for guests. We’ve put a lot of time and effort into hammering out menu details, preparing the truck supplies and ingredients, and assembling the team. Now it’s time to cook. The Contemporary Burger. Beef patty, smoked chèvre, caramelized onion, arugula, beet dijon.